However, one should not confuse GARP investing with the blend strategy. While the blend strategy promotes investment in both value and growth stocks, GARP investing requires both value and growth features in a single stock. The GARP approach prefers stocks that are priced below the market or any reasonable target determined by fundamental analysis. These stocks also have solid prospects in terms of cash flow, revenues, earnings per share (EPS) and so on. 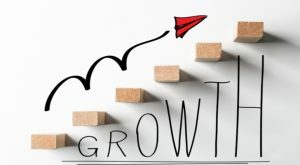 Strong earnings growth history and impressive earnings prospects are the main concepts that GARP investors borrow from the growth investing strategy. However, instead of super-normal growth rates, pursuing stocks with a more stable and reasonable growth rate is also a tactic of GARP investors. Hence, growth rates between 10% and 20% are considered ideal under the GARP strategy. Along with the criteria discussed in the above section, we have considered a favorable Zacks Rank #1 (Strong Buy) or 2 (Buy) to make the strategy foolproof. These few criteria have narrowed down the universe of over 7,700 stocks to only 16. Teradyne, Inc. (NYSE:TER) is a leading supplier of automation equipment for test and industrial applications. The company delivered an average four-quarter positive earnings surprise of 20.3% and carries a Zacks Rank #1. MSCI Inc (NYSE:MSCI) is an independent provider of research-driven insights and tools for institutional investors. The company delivered an average four-quarter positive earnings surprise of 7.4% and carries a Zacks Rank #1. You can see the complete list of today’s Zacks #1 Rank stocks here. S&P Global Inc (NYSE:SPGI) is a provider of ratings, benchmarks, analytics and data to the capital and commodity markets. The company came up with an average four-quarter positive earnings surprise of 12.8% and carries a Zacks Rank #2. Marriott International Inc (NASDAQ:MAR) is the world’s largest hotel company. The company delivered an average four-quarter positive earnings surprise of 11.8% and carries a Zacks Rank #2. Encompass Health Corp (NYSE:EHC) provides inpatient rehabilitation hospitals and home-based care services. The company came up with an average four-quarter positive earnings surprise of approximately 7% and carries a Zacks Rank #2. Nucor Corporation (NYSE:NUE) manufactures and sells steel and steel products in the United States and internationally. Last quarter the company delivered a positive earnings surprise of 18.2% and carries a Zacks Rank #2. Fair Isaac Corporation (NYSE:FICO) makes decisions smarter. The company’s solutions and technologies for Enterprise Decision Management give businesses the power to automate more processes, and apply more intelligence to every customer interaction. Last quarter, the company delivered a positive earnings surprise of 15%. It carries a Zacks Rank #2. Article printed from InvestorPlace Media, https://investorplace.com/2018/02/7-garp-stocks-should-find-place-portfolio-ggsyn/.